Of all the tasks we face in building a website, one of the trickiest is the choice of theme. Over the years we have tried a variety of methods of assisting clients in deciding which one would work for them best. We’ve tried quite a few approaches all the way from “just giving them one” to a fully open “go out and find one you like“. Possibly not surprisingly, the most successfully designed and run websites have resulted from the “just giving them one” approach. With our years of design and execution experience, we mostly do know what will work in certain situation. 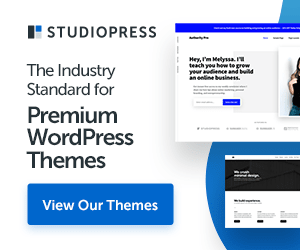 For those who are in a search for the perfect Theme for their site, we will try to share the Top 5 things you should consider, so you can make a balanced decision on the best WordPress theme for your site. Before we delve into our top 5 let’s just quickly cover this all important question, “why buy when there are so many free ones out there?”. The main reason why many of us choose a premium WordPress theme over a free one is because you get guaranteed support. Free WordPress themes are often built as a hobby, so you are never guaranteed to get ANY support or updates. When you pay for a WordPress theme, you get good documentation, access to support, and regular updates. Or at least you should! Some theme developers even offer video tutorials, demo content, and some a free website setup service. Aside from that, premium themes are make your website more unique because free themes are being used by everyone. Having said that, here’s what you need to look for when selecting a premium WordPress theme. Simplicity is simply the best rule in any design, Many WordPress themes come with lots of colors, complex layouts, flashy animations, etc. Sometimes you may need those things, but in most cases you don’t really need all that. 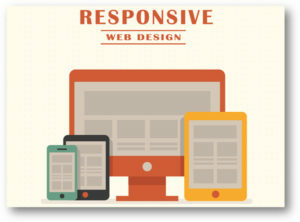 Responsive themes adjust their layout across different screen sizes and devices. A significant number of web traffic is generated from mobile and other handheld devices. Depending on your website’s topics, this number could go even higher than 50% of your traffic. Page builders are WordPress plugins that allow you to create page layouts using drag and drop user interface. Many premium WordPress themes come with page builders pre-installed. Some of these page builders are used by that theme developer only. So what about this Gutenberg thing? These page builders are going to be hitting a bit of a hiccup we think in the next BIG iteration of WordPress, 5.0. This is where we are getting then Gutenberg editor dropped on us (whether we want it or not! ).